Single level living at its best! Extraordinary corner two bedroom home located in the heart of the South End. Wrapped in floor to ceiling windows for amazing light and beautiful views of Union Park, this 2017 new construction home is like no other with soaring 10'6 ceilings throughout. Modern and open kitchen, dining and living room with gas fireplace and convenient half bath, ideal for entertaining. State of the art kitchen with custom cabinetry, Quartzite waterfall marble counter-tops, and Sub-Zero and Wolf appliances (gas cooking). Luxurious master bedroom suite, spa style en-suite bath with glass enclosed steam shower, deep soaking tub, radiant heat and double vanity. Spacious guest bedroom with en-suite bath. Sonos audio/visual systems and smart home light & HVAC controls throughout. Private home office with custom built-ins and park views. Walk-out deck area. Garage parking space at Wilkes Passage available for $200,000. 2019 gut renovation on a tree-lined street in the South End!! This floor-through unit offers an an concept kitchen and living, two queen-sized bedrooms, and one full roof rights. The modern design is complete with a beautifully restored bay window, crown molding, and hardwood floors through. The kitchen features Fisher & Paykel appliances, custom cabinetry, and waterfall, granite countertops. In-unit washer and dryer. 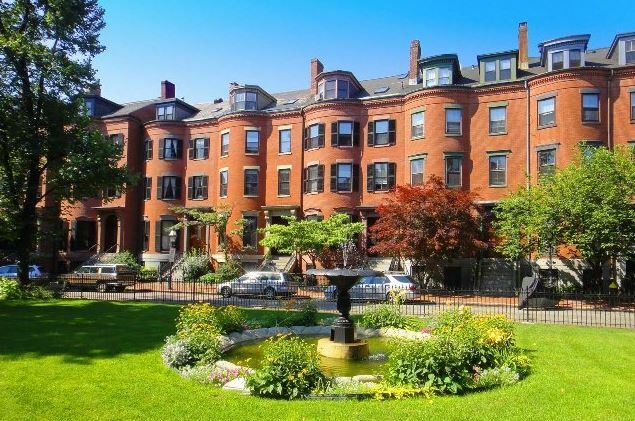 Walking distance from all that the South End has to offer, and easy access to I-90 and 93. Rarely available, oversized 1-bedroom loft inspired residence within coveted Wilkes Passage. A spacious open floor plan spanning nearly 900 square feet of living space provides the perfect canvas for entertaining with clearly defined living, dining, and study spaces. The kitchen features ample cabinet storage with silestone counters / back splash, stainless appliances (Sub Zero / Miele / Wolf), and gas cooking. The large bath has step in rainfall shower and in unit washer / dryer. Additional features include 1 garage parking space, hardwood floors, surround sound, recessed lighting, central air, and expansive closet storage throughout . Wilkes Passage is a professionally managed, pet-friendly building with on-site management, 24-hr concierge, common roof deck with 360 degree views & a landscaped elevated courtyard. Just steps to Peter 8217;s Park, Whole Food, boutique shops, and South End 8217;s finest dining destinations.